The Global Probiotic Products Industry Situation and Prospects Research report is a professional and in-depth study on the current state of the Probiotic Products industry. In 2016, the world economy expanded by just 2.2 per cent, the slowest rate of growth since the Great Recession of 2009. Underpinning the sluggish global economy are the feeble pace of global investment, dwindling world trade growth, flagProbiotic Productsg productivity growth and high levels of debt. World gross product is forecast to expand by 2.7 per cent in 2017 and 2.9 per cent in 2018, with this modest recovery more an indication of economic stabilization than a signal of a robust and sustained revival of global demand. Given the close linkages between demand, investment, trade and productivity, the extended episode of weak global growth may prove self-perpetuating in the absence of concerted policy efforts to revive investment and foster a recovery in productivity. This would impede progress towards the Sustainable Development Goals (SDGs), particularly the goals of eradicating extreme poverty and creating decent work for all. For the sake of making you deeply understand the Probiotic Products industry and meeting you needs to the report contents, Global Probiotic Products Industry Situation and Prospects Research report will stands on the report reader’s perspective to provide you a deeply analysis report with the integrity of logic and the comprehensiveness of contents. We promise that we will provide to the report reader a professional and in-depth industry analysis no matter you are the industry insider?potential entrant or investor. Firstly, the report provides a basic overview of the industry including definitions, classifications, applications and industry chain structure.  The Probiotic Products market analysis is provided for the international market including development history, competitive landscape analysis, and major regions’ development status. Secondly, development policies and plans are discussed as well as manufacturing processes and cost structures. This report also states import/export, supply and consumption figures as well as cost, price, revenue and gross marProbiotic Products by regions (United States, EU, China, India and Japan), and other regions can be added. Then, the report focuses on global major leading industry players with information such as company profiles, product picture and specification, capacity, production, price, cost, revenue and contact information. Upstream raw materials, equipment and downstream consumers analysis is also carried out. What’s more, the Probiotic Products industry development trends and marketing channels are analyzed.